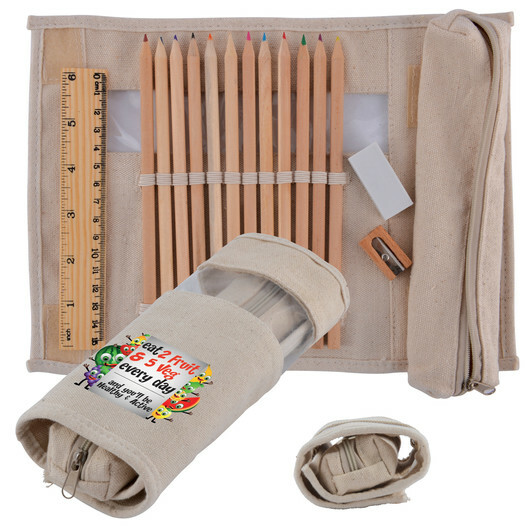 A stationery set in canvas case with the best tools to showcase someone's awesome drawing talent. Whether you're a beginner or a professional artist this set is right for you. 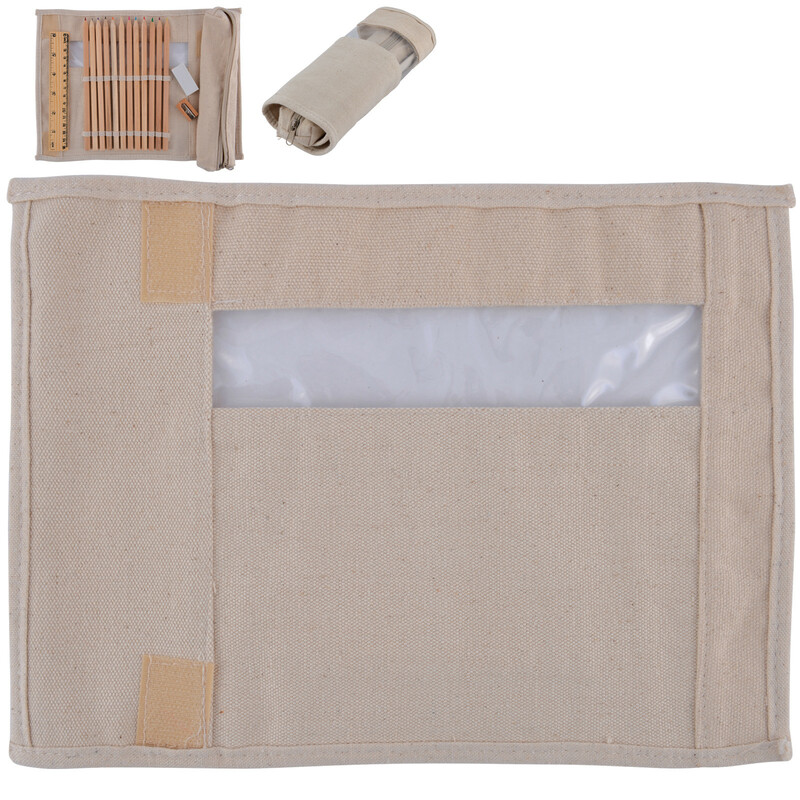 This stationery set is packed in a canvas pencil case or sometimes called a roll up pouch. The set includes 12 sharpened natural timber finish assorted coloured pencils, 1 eraser, 1 sharpener and 15cm timber ruler. Also features a removable canvas zippered pencil case attached with Velcro.